The Brass Laver in the Outer Court I Kings 7:23-30 23And he made a molten sea, ten cubits from the one brim to the other: it was round all about, and his height was five cubits: and a line of thirty cubits did compass it round about. 24And under the brim of it round about there were knops compassing it, ten in a cubit, compassing the sea round about: the knops were cast in two rows, when it was cast. 25 It stood upon twelve oxen, three looking toward the north, and three looking toward the west, and three looking toward the south, and three looking toward the east: and the sea was set above upon them, and all their hinder parts were inward. 26And it was an hand breadth thick, and the brim thereof was wrought like the brim of a cup, with flowers of lilies: it contained two thousand baths. 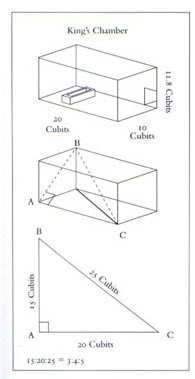 27And he made ten bases of brass; four cubits was the length of one base, and four cubits the breadth thereof, and three cubits the height of it. 28And the work of the bases was on this manner: they had borders, and the borders were between the ledges: 29And on the borders that were between the ledges were lions, oxen, and cherubims: and upon the ledges there was a base above: and beneath the lions and oxen were certain additions made of thin work. 30And every base had four brazen wheels, and plates of brass: and the four corners thereof had under-setters: under the laver were under-setters molten, at the side of every addition. In Psalm 19, The heavens declare the glory of God… Verse 4 says, “Their line is gone out through all the earth, and their words to the end of the world. In them He hath set a tabernacle for the sun.” Once again the Hebrew word for “line” here is qav. Let me ask you, what is the heavenly or celestial line that is a tabernacle, or provides the houses of the sun? The only sensible answer is the ecliptic! This is quite logical when we consider that the Israelites, during their 40-year sojourn in the Sinai wilderness were led by God, seen as a pillar of cloud during the day, and one of fire by night. 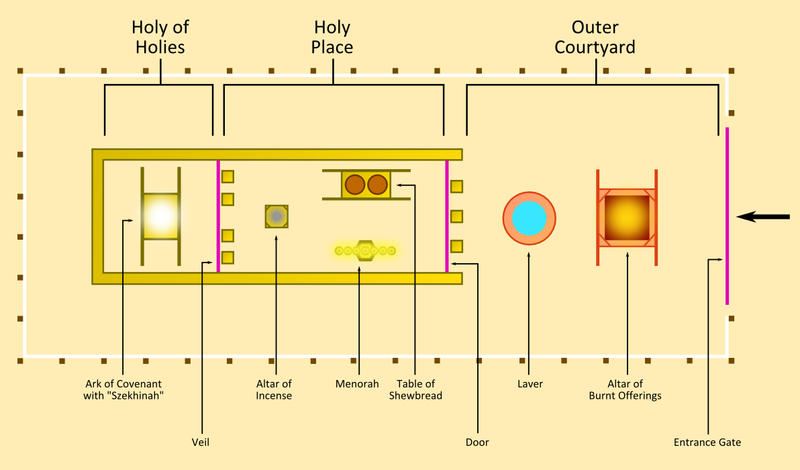 The pillars dwelt over the Holy of the Holies in their Tabernacle, signifying the Creator’s personal presence among His people. When they camped during the evenings, Numbers 2 tells us they camped in the order of the tribes as it matched the order of the course of the sun on the ecliptic, (east, south, west, north). Israel’s twelve tribes, as we are aware by now, also matched up with the twelve signs of the zodiac in their God-ordained significance, before they were corrupted in heathen Astrology and mythology. This tribal order is also found in the twelve jewels of the High Priest’s breastplate, [Ex. 28:15-21]. Thus the celestial gospel originally related the story of the coming redeemer of mankind, that God wrote in the stars before He ever committed it to His Written Word. These are the words of Ps. 19:4 that have gone out through all the earth, unto the end of the world. This application of the Pi (the mathematical relation of the diameter of a circle to its circumference) by God, in reference to the circular ecliptic is certainly intriguing in light of the Sun’s apparent 360-degree path through its 12 houses of the zodiac, as viewed from Earth. In this light we should also be aware of the earlier context of I Kings 7. When we apply what we have already seen in the Biblical teaching of the Sun’s dual symbolism, to the Menorah, it takes on a new light, associating the Sun not only with the solar system, but also the circular zodiac. The Menorah structure shows its central shaft as the foundation of the candle, since it holds the main light as the candle centerpiece. All the branches of the candlestick are attached to the central shaft, even as they obtain their light from the main candle. This pattern is mirrored in the solar system as the planets and moons do not generate their own light, but reflect the light of the Sun, as they orbit around it. We find not only the solar system order reflected here but also that of the ecliptic with 12 Constellations. This is evident in the Menorah’s semi-circular pattern based on pi. By expanding on Strong’s analysis of the Menorah this comes to light. In Strong’s smaller geometric model of the Menorah, we note bulbs on the six branches of the candlestick that are projections of the central bulb, where all the radiating geometric lines of the central light emanate. These projections of the central light on the six branches, (five naked eye planets and the Moon) depict how these luminaries reflect the Sun’s light in their individual orbits upon the Earth. 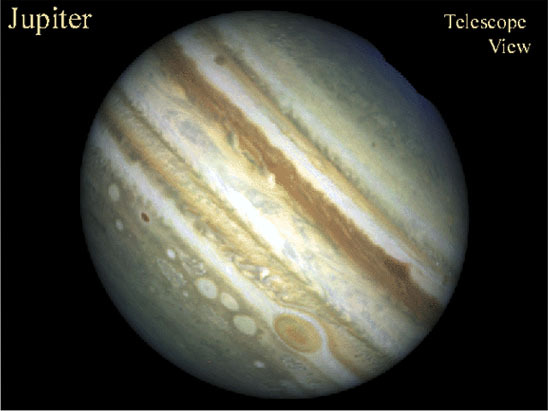 This system reflects the temporal periods and orbits of each planet in our solar system, in relation to the Sun’s light. 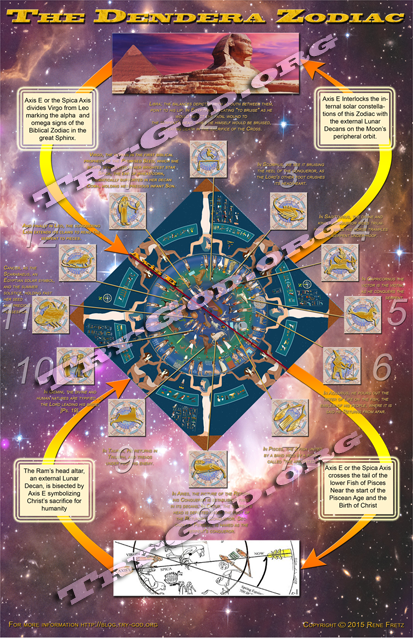 This is revealed first in the context of the mathematics of the base 60 standard, a primary trait of the Creator’s celestial order. Strong’s emphasis above on the geometric design of the Menorah, exhibits the Hebrew zodiac as in Genesis 49, with Jacob’s prophesies over his twelve sons. We should see that these lines noted by Strong as “the radii of the semi-circle,” reflecting the symbolic light of the world, if extended into a complete circle, the radii would divide it into 12 equal parts of 360 degrees of the circle according to pi. We can be safe in making this conceptual leap in the implied design of the Menorah, because we have just seen this pattern in the Temple pillars: Jachin and Boaz. This marks the Menorah as a complete symbolic piece of furniture in the Temple and Tabernacle, acting as a celestial symbol of the structure of both our solar system and the zodiac. It is complete because it is the third aspect we have observed utilizing pi measures, following on the great Brazen Sea and the Temple pillars. 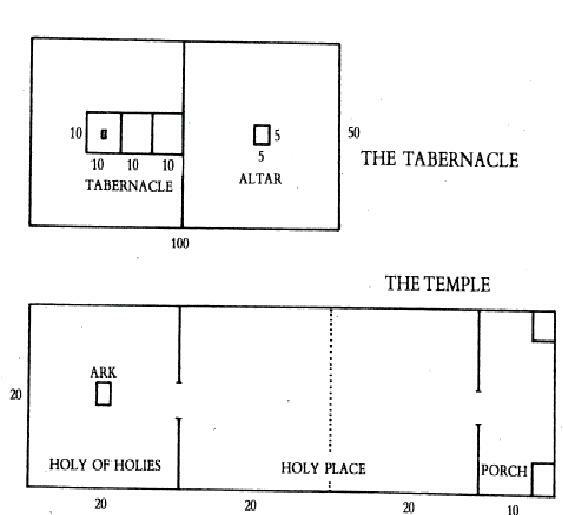 These aspects of The Celestial Symbolism of the Temple and Tabernacle; [read more] utilize pi to depict the Hebrew Calendar of 12 months of 30 days in the sacred 360-day year utilized by Noah. But the Menorah goes beyond this, embracing the planets in a heliocentric model of the ancient solar system, long before the Greek Aristarchus of Samos proposed it in the second century BC. The Menorah’s [read more] implicit use of the pi ratio incorporates the previous usage of this principle in the Brasen Sea and the Temple pillars, while adding the symbolism of the heliocentric solar system to these previous applications, all incorporated into a single model. According to conventional history, the idea of a heliocentric “universe” or solar system, originated with the ancient Greeks, specifically Aristarchus of Samos as mentioned above. This idea however, did not catch on in a big way until Copernicus, who while reviewing some of Aristarchus’ ideas seized upon this concept and ran with it. 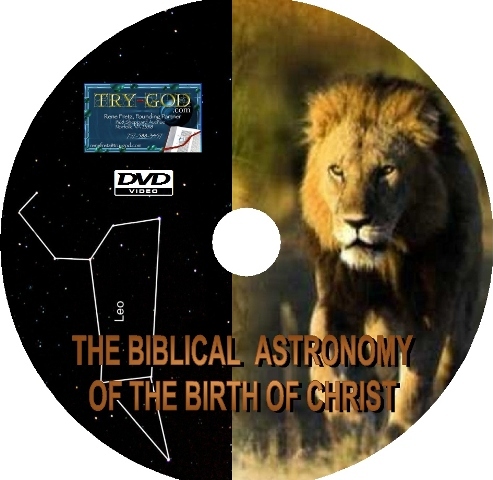 He did this at his own peril due to the prevailing worldview of the time, especially that of the Roman Catholic Church, based on a geocentric view of the solar system espoused by Ptolemy, which held sway in intellectual and religious circles for over 1500 years. 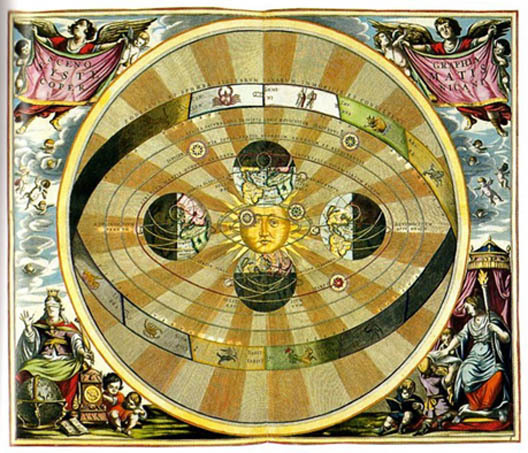 In the Figure 7. graphic below from Harmonica Macrocosmica [A. Cellarius, Amsterdam 1660] depicts a Sun-centered Copernican view of the cosmos. Since the phi principle inherent in the Fibonacci Series is the basis of the precepts of geometric growth life throughout the plant and animal kingdoms of life evident in the Creator’s Four Kingdoms of Life, [read more] this principle of mathematics is elevated above that of pi. As the Creator and ultimate Source of Life, the Almighty has led us on this path of spiritual discovery paved with the principles of geometric and mathematical truth revealed in God’s Word. This is the geometric progression we have just witnessed in our pi journey through the Tabernacle/ Temple of Israel, on this day memorializing Pi. 10. KEIL & DELITSCH Commentary on I Kings 7:23.